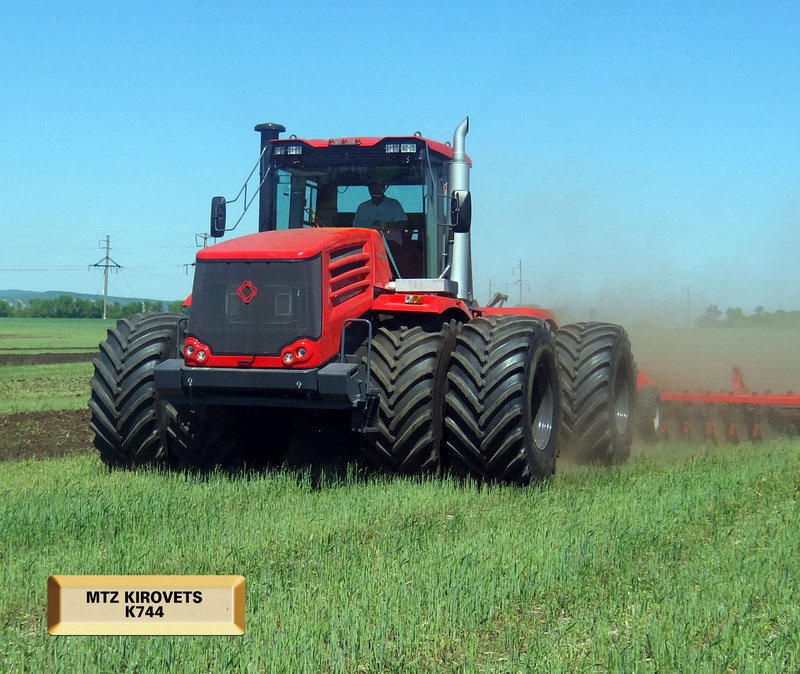 MTZ Kirovets K-744. 435 hp Mercedes Engine. 16x8 Semi Power Shift. 74 gpm hydraulics. 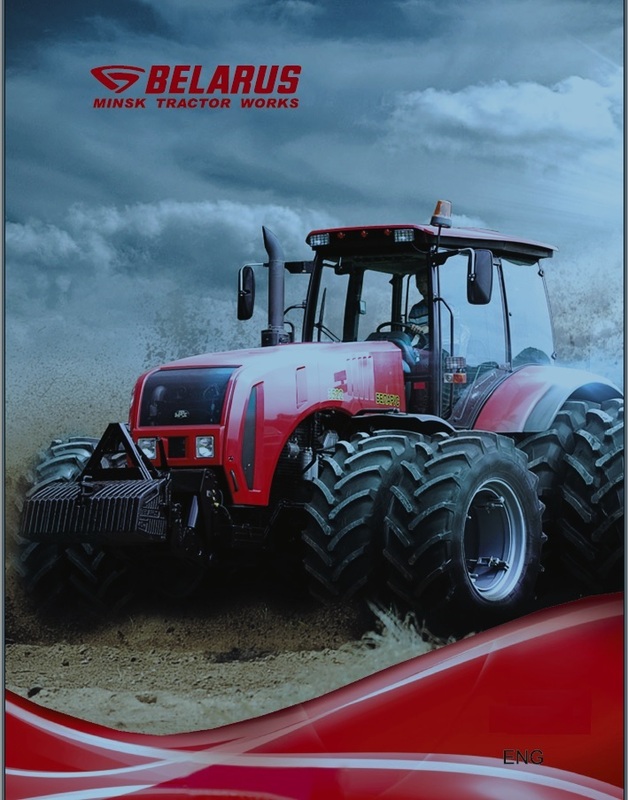 MTZ Equipment Ltd. is the exclusive distributor in the USA and Canada for Minsk Tractor Works of Belarus - world's largest tractor manufacturer. 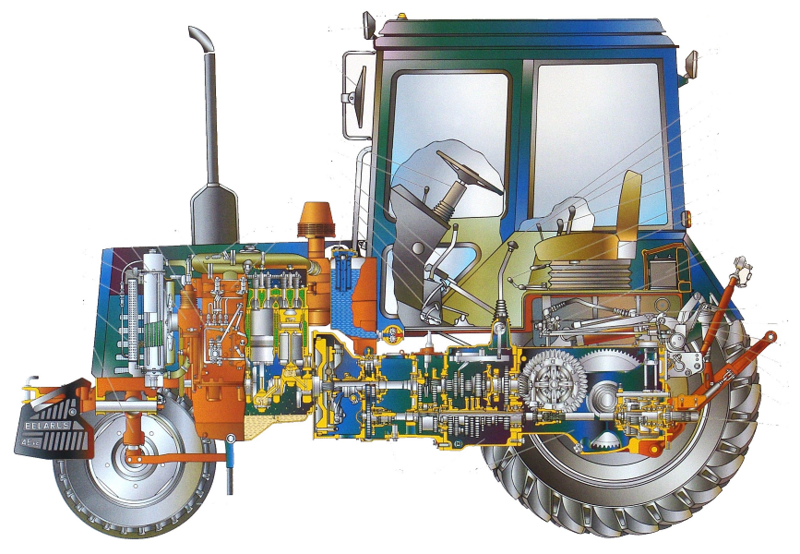 MTZ – Parts for older tractors manufactured in Belarus also available. Another group of dealers returned this week from a visit at Belarus. Last week we visited the Kirovets factory in St. Petersburg. Last week we held a demo day for the K744. MTZ tractors - snow sculpture. Belarus dealer in Siberia has built a life size snow replica of the MTZ 82.1 tractor, and painted it. In January our factory organized a unique tractor rally. 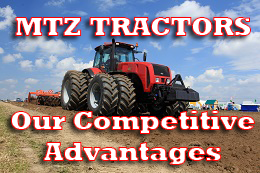 What is the life expectancy of MTZ / Belarus tractors? “Breadwinner” – very touching new promotional video from the factory. Continuation of the MTZ 1220 review. Interesting. In consideration of market requirements and with face to the future. We know that Belarus made tractors are tough as nails, and working at many fields. But as an ice breaker ? That’s a first one for me. Remote Russian village was disconnected from mainland few days ago, and someone needed to clear the road. Couple of weeks ago Belarus based Minsk Tractor Works General Manager has visited us in Canada. A local paper published an interesting article on the subject. Belarus based Minsk Tractor Works General Manager has visited us in Canada this week. Great meetings. The GM had a chance to meet with a few dealers, and visit our warehouse and service shop in Ontario. Thank you again for visiting us at Agri-Trade. Attention - counterfeit replacement parts! Extended warranty is now available, up to 5 years / 5,000 hours! Now offering the MTZ 921 Orchard tractor!